at the Johnson GEO CENTRE! Ready for the story of your life? 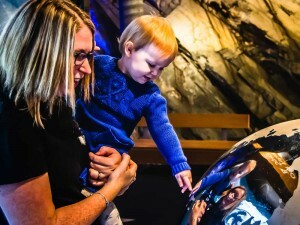 With so much to see here, it can be easy to forget that the Johnson GEO CENTRE is focused on four main exhibits that present the incredible story of how our province — and all of us who live here! — came to be part of this incredible planet hurtling through space. It’s a story that took billions of years to write, so we’ll admit to feeling a bit ambitious for trying to condense it all into four exhibits. We’re told we’ve done it very well, but we’d love to hear what you think!